Bankruptcy is a serious issue that needs immediate supervision from a law firm. Bankruptcy has affected more and more American citizens since the housing market crash of 2008 and 2009, and a large amount of homeowners still choose to file bankruptcy as a tool against foreclosure, or simply because they’re forced to file bankruptcy because of a lost job or business trouble. There are a number of different bankruptcy options a lawyer may recommend within a law firm. Bankruptcy measures are federally controlled, but each state’s exemptions under Chapter 7 are different, so depending on the state, the homeowners own personal circumstances, and the law firm, bankruptcy options a different for every other client. How Can I Find a Bankruptcy Law Firm? 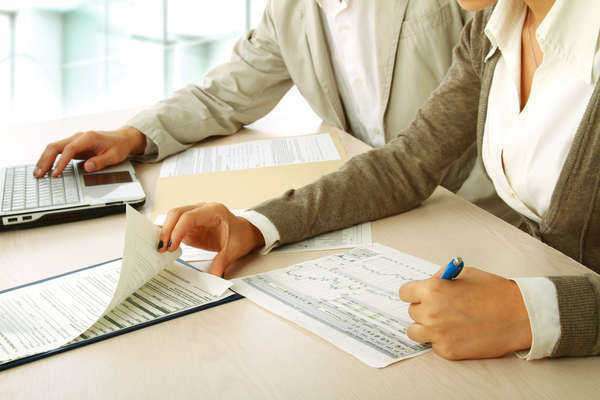 Depending on the amount of time you want and need to devote to your search for bankruptcy law firms, you should choose to reference one or more of the following resources for law firms, bankruptcy updates, and lawyer contact information and credentials. You can use this source for updated information on bankruptcy laws and news, and you can also access contact information for the association that may put you in touch with a law firm, bankruptcy attorney, or bankruptcy mediator in your area. If you are looking for a law firm, bankruptcy attorney, or any other lawyer in your area, you should consider clicking on one of the advertisements within this article or similar articles for lawyers in your area. The advertisements are not standard; they are specifically adjusted to your interests and needs as a client. The website uses your searches and an algorithm to match your needs to the specific specializations and services of lawyers in your geographic location. What Types of Bankruptcy can a Law Firm help me with? The amount of services a law firm provides will depend on its size, ranking, and other factors as well. Some of the largest and most highly ranked bankruptcy law firms in the country provide legal services for all types of bankruptcy, but smaller firms will usually only offer services for more popular types of bankruptcy like Chapter 7, Chapter 13, and even Chapter 11. 1) Chapter 7, Liquidation- this type of bankruptcy is sometimes suggested if a family or individual has a large amount of unsecured debt and low means to income. The average household income must usually fall below the state average, but Chapter 7 bankruptcies have become less common in the last couple of years. Federal statutes have become more strict in Chapter 7, and even if a person’s income falls below the state average, a judge may still order the person to claim Chapter 13 or 15. 2) Chapter 9 Municipality- this type of bankruptcy allows a municipality (a city, town, village, county, tax district, municipal utility, or school district) to file for reorganizational measures. If you are looking for a law firm, bankruptcy laws under Chapter 9 are often complex and require a very specialized lawyer. 3) Chapter 11Reorganization- this type of bankruptcy is like Chapter 9, only this type is used by a corporation or partnership. Chapter 11 allows an owner protection from creditors for a certain amount of time while they reorganize finances, logistics, and strategies in order to create more profit and pay creditors. 4) Chapter 12 Farmer or Family Fisherman- this type of bankruptcy is very unique and allows for the adjustments of debts for a family farmer or fisherman. This type of measure is like Chapter 11 but often benefits family farmers and fishermen because the process takes less time and money. If you are looking for a law firm, bankruptcy under Chapter 12 is complex and usually requires the assistance of a very specialized lawyer as well. 5) Chapter 13 Individual Debt Adjustment- this type of bankruptcy usually protects a home from foreclosure and allows a homeowner to make regular monthly payments for three to five years in order to pay up to 25% of their overall debt. 6) Chapter 15 Ancillary and Other Cross Border Cases- this type of bankruptcy is used when there multiple debtors, assets, claimants, and other parties from different countries involved. The type of bankruptcy is meant to foster relationships between the U.S. and other countries involved.